The Internet gives people a lot of opportunities to make money by putting into practice their unconventional ideas. There are websites that make fundraising a breeze, whether it’s a serious project like “smart” watches or an eccentric one like a toilet night light. We found 11 fascinating examples of how budding entrepreneurs gained what they wanted and even more. At the end of the article, you will find a video about the most unexpected exercise machine in the world. With IllumiBowl 2.0 you will never miss the toilet, even in utter darkness. A small motion-activated device can be adjusted to any toilet type and will turn on as soon as you walk into your dark bathroom. The IllumiBowl Toilet Light’s price is only $10, but the concept development fund raised a total of $226,000. One of Kickstarter’s most successful projects raised $929,160 to help bring this idea to life. Fill and tie hundreds of water balloons in minutes with Bunch O Balloons. Guess what? Now you can buy Bunch O Balloons almost anywhere in the world! It takes $10 to buy all the ingredients for potato salad, but Zack Brown came up with an unusual idea and started raising money. His main goal was to demonstrate that anyone can raise the funds to put a crazy and useless idea into action. Zack eventually gained more than $55,000 from almost 7,000 people. The MaKey MaKey GO device looks almost like a flash drive, but it does a little more than that. It turns any object that can conduct electricity into a portable keyboard! Most materials that can conduct at least a tiny bit of electricity will work. Take anything you want: a slice of pizza, a cucumber, or a plate of Jello-O. The idea intrigued people, and the creator raised almost $200,000 to bring MaKey MaKey GO to life. 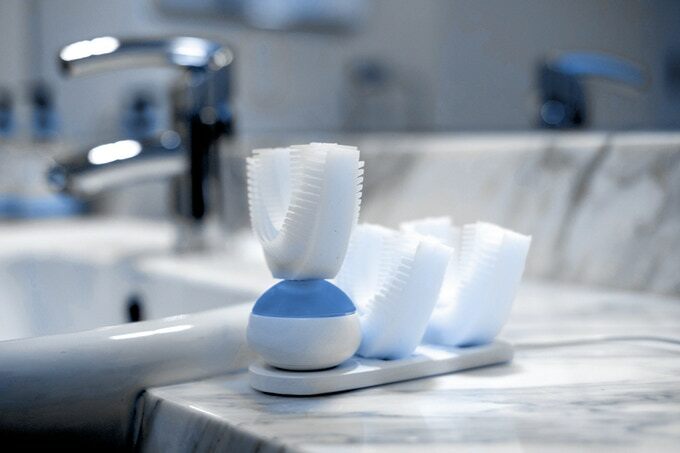 Amabrush is an innovative tool that brushes your teeth automatically in just 10 seconds. When in your mouth, the device will brush your teeth all at once with no help needed. The total amount of all investments in this project reached €3,200,000 in less than a month. A Pi-shaped pie had always been Garrett Heath’s dream since he studied geometry in high school. He was sure that all the nerds would love it. That’s why Garrett decided to start his own Kickstarter project, raising money to develop and produce the Pi pie baking form. Pie lovers helped him to gather $17,500 and made his school dream come true. Icelandic designer Thorunn Arnadottir came up with an incredible idea for a candle: as it burns, the cat-shaped candle reveals a creepy metallic skeleton. Now the designer’s collection contains many other animal-shaped candles. But the Kisa was her biggest hit, and Thorunn raised almost $102,000 to produce the candles. One of the best examples of impractical money raising is the Griz Coat (The Grizzly Bear Coat). Faux fur, a bear-head hood, and claw mittens are what the Griz Coat is all about. The developers wanted $2,500 to start the project on Kickstarter, but they got more than $29,000 instead. It looks like an ordinary happy birthday card at first glance, and you might not even notice it in a display. But this birthday card is a real joker: after you open it, the music won’t stop playing. Even if you close it or drown it, the card will continue making melodic noises for more than 3 hours. A card that won’t silence unless it’s physically destroyed. The creator managed to gain $92,000 instead of the planned $7,500. In 2014, Kate Funk and Brennan Groh decided to create “The World’s Most Super Amazing 100% Awesome Cat Calendar.” They managed to receive more than $25,000 worth of donations, although they planned to start with only $3,500. Now this project is going into its 6th year. It may not be one of the most successful Kickstarter projects, but it sure is the cutest one. LICKI Brush was created to imitate licking while playing with your favorite cat. The “cat tongue” interested people and raised $52,000 for its creation. The designers of the One Fast Cat project noticed that some cats lack exercise, and so they created a wheel for safe and fun indoor exercising. It looks like an easy and trivial idea, but people wanted it so badly that the total fund ended up at $334,000 instead of the requested $10,000.